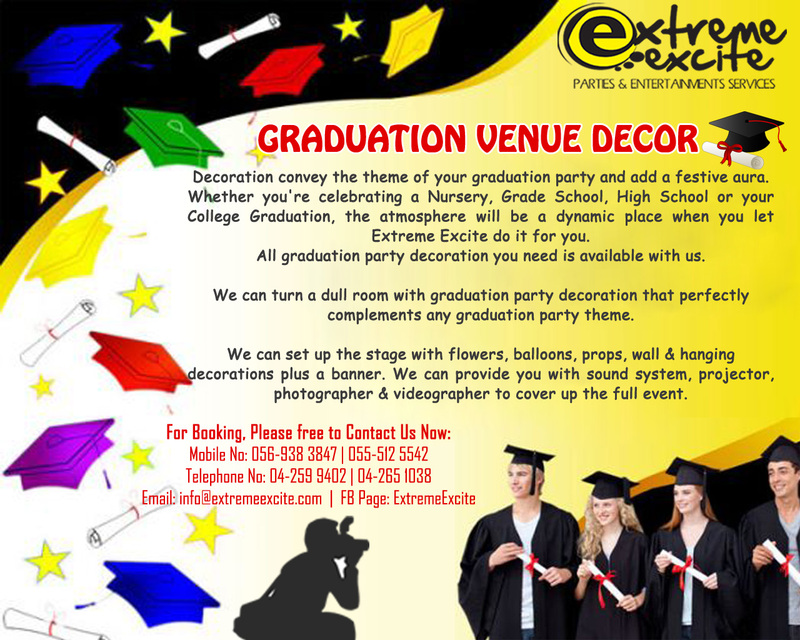 Decoration convey the theme of your graduation party and add a festive aura. Whether you're celebrating a Nursery, Grade School, High School or your College Graduation, the atmosphere will be a dynamic place when you let Extreme Excite do it for you. All graduation party decoration you need is available with us.